Top Tanks Australia is the most trusted brand in water tanks providing a wide range of quality durable tanks. Top Tanks Australia’s tanks are made from the highest-grade 1-mm steel panels. 04/08/08 - Wet Earth offer a diverse range of rainwater tanks. The rainwater tanks from Wet Earth include bladder tanks, slimline modular tanks, Sydney water tanks, pump selectors, Gold Coast water tanks and Brisbane water tanks. 01/08/08 - Rainwater Storage Tank supplies water storage tanks and parts to the residential market. Blue Bubbles, a Sydney-based company, is the owner of Rainwater Storage Tank. 30/07/08 - Rainwater Storage Tank is a unit of Blue Bubbles, a family-owned business from Sydney. Rainwater Storage Tank manufactures and supplies water storage tanks, tank accessories and water tank pumps for household usage. 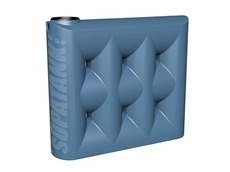 25/07/08 - Tankmasta provides quality slimline water tanks with a 3000 litre capacity. These slimline tanks are designed for installations where width is of primary concern. Slimline water tanks are suitable for area where a narrow tank is required. 24/07/08 - Tankmasta provides a quality range of rural and urban water tanks equipped with RIO or reversible inlet / overflow filtration system. These tanks are flexible in every aspect.